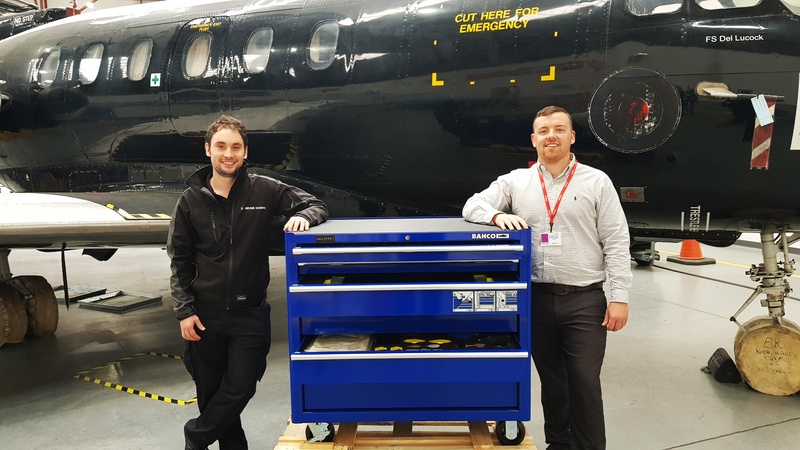 The BAE Systems Training Academy at Humberside Airport has purchased the HTK1034 Kit from Heamar to assist in their training of apprentice engineers in the classroom. The Training Academy is responsible for the delivery of trained personnel into a number of UK and overseas contracts, supporting some of the world's most advanced military aircraft. This kit has been developed by Heamar to be suitable for classroom training and has been enhanced to be more user-friendly for current and upcoming BAE Systems engineers. The apprentices at Humberside Airport will be using the HTK1034 Kit in learning how to maintain and work on leading fast jet aircraft. The requirements for the HTK1034 Kit were driven by the need for tool control to ensure that no tools would be improperly stored or lost. The tools can be organised in their case thanks to the addition of tool control foam which features an individual space for each tool. These spaces have a distinct colour which makes a missing tool easy to detect. Pictured: BAE Systems' Mike Gosling and Heamar's Reece Burley at the BAE System Training Academy hangar at Humberside Airport with the HTK1034 (AMA FORK 1) Kit. Heamar has worked hard to reduce the size of the HTK1034 Kit to suit the needs of BAE Systems. The final kit resulted in being more than half the size of the original design and features updated tools. The most innovative element of the kit is the fiber optic oven. This takes just minutes to cure the wire, thus quickening the process and aiding in the overall demonstration and use of the products when used in training. BAE Systems will hopefully purchase more of these kits in the future to further support and increase efficiency at their training academy at Humberside Airport and other training facilities around the UK.